PORTLAND — More than two weeks after Hannaford Bros. Co. issued a massive recall of ground beef, the U.S. Department of Agriculture has released no additional information about its investigation into the source of the meat that was linked to an outbreak of salmonella infection. Since the recall Dec. 15, health officials have identified four more cases of illness caused by the rare strain of salmonella. In total, 18 people from seven states, including four from Maine, are known to have been sickened. 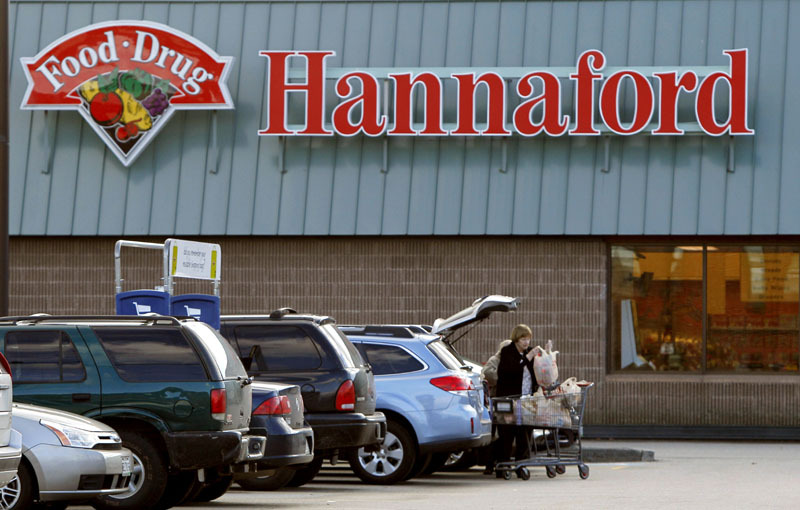 The USDA has said Hannaford’s “limited records” have hindered its ability to identify the source of the bacteria. The Scarborough-based chain, which has 179 stores in the Northeast, contends that it complies with industry standards for record-keeping. The USDA has not answered any questions about the investigation posed by The Portland Press Herald, beyond the information it provided in a press release Dec. 15. It also has not answered questions about its protocol for investigating the source of contaminated food, or about proposed new record-keeping rules referred to in the press release. Neil Gaffney, press officer for the USDA’s Food Safety and Inspection Service in Washington, D.C., said Friday that he was working to get answers to some of those questions by next week. U.S. Rep. Chellie Pingree, D-Maine, is a member of the House Agriculture Committee, which oversees the USDA. Her office was unaware of the status of the investigation Friday, a week after she inquired into the cause of the delays. Willy Ritch, Pingree’s spokesman, said she plans to send a letter to Agriculture Secretary Tom Vilsack asking many of the same questions the Press Herald has posed. Hannaford spokesman Michael Norton did not return a phone call Friday seeking information about how much beef has been returned or whether the recall has affected its ground beef sales. Norton has said the sales impact of the recall is not Hannaford’s “biggest concern,” but the company is focused on getting out information about the recall and answering customers’ questions. The shopping habits of at least one customer have changed since the recall – and won’t change back until he has more assurance that Hannaford’s ground beef is safe. Kenny Beckwith of Standish said he used to buy at least one package of ground beef from Hannaford every week. Around the time of the recall, Beckwith said, he had symptoms consistent with a salmonella infection. Although health-care professionals said he may have had contact with salmonella, they determined that he was not infected by the strain linked to the meat from Hannaford, he said. But Beckwith said he’s wary now about making meat purchases from Hannaford. “I will not buy any beef product from them until somebody can say definitively (that it’s safe),” he said. The U.S. Centers for Disease Control and Prevention reported initially that 10 of the 14 people who were infected with the same strain of salmonella said they had bought ground beef from Hannaford stores in Maine, New York, New Hampshire and Vermont in the period from Oct. 12 to Nov. 20. Seven of the 10 were hospitalized. None died. The CDC issued an update Dec. 20 in which the number of cases was raised to 16. Kate Levinson, a spokeswoman for the CDC, said Friday that two additional cases of the rare salmonella strain have been identified since the Dec. 20 update. She could not say whether they came from ground beef sold by Hannaford. Levinson said the CDC plans to update the public next week on the status of its investigation. Maine’s state epidemiologist, Dr. Stephen Sears, said no Maine residents were among the four cases reported most recently, although the Maine Center for Disease Control and Prevention is investigating a couple of cases of salmonella that have been reported since the recall. The recall covers ground beef that carries a Hannaford, Nature’s Place or Taste of Inspirations label and has a sell-by date of Dec. 17 or earlier. The company is offering a full refund for any ground beef purchased within the scope of the recall, regardless of whether it is in the package.